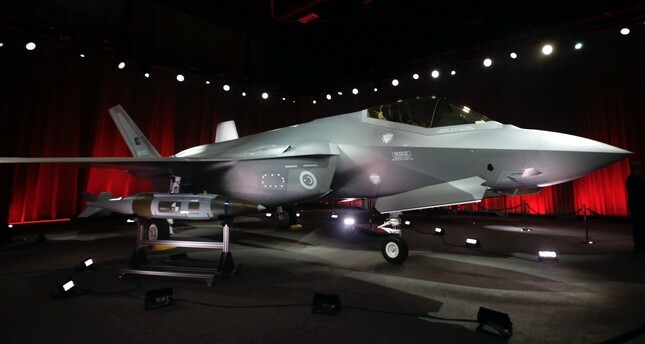 Turkey received its first F-35 fighter jet at a ceremony in Fort Worth, Texas, on June 21, 2018, while two more F-35s are expected to be delivered by March this year. In order to exercise full control of missile systems Turkey purchased from abroad, the country has been working on developing stand-alone controller systems, particularly for the S-400 missile system that Ankara has agreed to purchase from Russia. With the goal of expanding its missile system capacity, Turkey aimed to meet its needs by purchasing Russia's S-400 system because the country's NATO ally, the U.S., failed to provide the Patriot system. However, Turkey's decision to buy the Russian-developed system caused tension with the U.S., which even went as far as blocking the delivery of F-35 jets to Turkey. "The arguments over the coexistence of F-35 jets and the S-400 missile system in the same military inventory have not been substantiated. Turkey has taken some precautions to develop its own stand-alone systems and still continues to work with EUROSAM. We have called upon our U.S. partners to elaborate on their arguments, but so far have received no compelling answers. Therefore, we have invited them to Ankara to negotiate the process," Defense Industry President İsmail Demir said yesterday at a meeting in the Turkish capital Ankara. "The U.S. delegation will visit Ankara in the upcoming days," Demir said. Stand-alone software systems to be deployed on the S-400s enable Turkey to navigate and differentiate friend/enemy targets while the systems operate fully under the country's control. "We agreed with Russia that it would be national system when we purchased it. So, we think the system is adequate and compatible with other systems," Demir said. Turkey will start installing Russian S-400 anti-aircraft missile systems in October this year. Last year, Turkey agreed to buy two S-400s in a deal worth over $2 billion. Officials from Ankara have repeatedly said that the purchase of the S-400 systems was prompted to fulfill the country's security needs. As a NATO member country, Turkey's decision to buy the Russian S-400 systems has raised concern among other NATO member countries. However, NATO Secretary-General Jens Stoltenberg ended the speculation, saying member states have the sovereign right to make decisions regarding their military purchases. In the last decade, efforts to increase the share of domestically developed and produced military platforms in the Turkish defense sector has accelerated, and over 65 percent of the products in the Turkish defense sector are produced with domestic means. Demir stressed that Turkey will be a fully independent country in the defense industry. "To reach our goal to have a fully independent defense industry, we will continue to work hard and not make any compromises. We don't know how even friendly countries will act somewhere. We don't want to deal with anyone or have to rely on any country other than ourselves," Demir said. During a breakfast with Ankara representatives of Turkish newspapers, Demir highlighted Turkey's performance in 2018 and announced new projects and goals in the defense industry for 2019. Answering the questions on Turkey's prospective purchase of the Patriot missile defense systems, Demir reiterated that all negotiations and talks underway with the United States, EUROSAM and Russia are based on Turkey's national security needs. "We have to act in a way that our needs are fully met. We have been negotiating with the U.S. for Patriots as well as the European Union for the EUROSAM missile defense systems. They are different programs and processes. The U.S. has summited offers for Patriots. We have been evaluating the offers' technical and pricing dimensions." The U.S. made an official offer last week to Turkey for a $3.5 billion sale of the Patriot air and missile defense systems, which has long been on the negotiating table for the two NATO allies. The offer came after the U.S. State Department last year on Dec. 19 approved a possible sale of the Patriot air and missile defense system and notified Congress of the proposal, saying that Turkey continues to be an essential element of the national security and defense strategy. The State Department also informed Congress about the sale proposal. The move was regarded as a breakthrough after Washington's delayed delivery of the F-35 jets to Turkey due to Ankara's purchase of the Russian-made S-400 defense systems. In regards to the F-35 program, Demir stated that there will be no delay in the F-35 program, and Turkey will receive the delivery of the planes this fall. "Political discussions are out of our duty. We have been looking for continuation in the process, and what is necessary technically," Demir continued. urchase of F-35 fighter jets, possibly resulting in unavoidable negative consequences for U.S.-Turkey relations. Subsequently, U.S. President Donald Trump approved a defense budget law delaying the delivery of the F-35 Joint Strike Fighter jets to Turkey, citing Turkey's purchase from the Russians. Subsequently, U.S. Congress passed a bill blocking the delivery of the jets until the Pentagon issued a report on Turkish-American relations. As a result of large investments in the defense industry, the number of Turkey's defense projects has reached 600 at a size of $60 billion, and the defense industry has reached a production capacity of over $6 billion per year and an export capacity of $2 billion. There are four Turkish companies among the 100 biggest defense companies in the world. The annual revenues of ASELSAN total $1.95 billion, TAI/TUSAŞ $1.1 billion, STM $370 million and ROKETSAN $364 million. Turkey has run 610 projects in 15 years, and investments in the defense industry have increased 15 times since 2003. The total assignments of the industry in 2018 have reached $6 billion. Following the ultimate goal for a 100 percent national defense industry, Turkey aims to have autonomy in air and space, sea, cyber and material capacities. As another goal, Turkey would like to see at least 10 Turkish companies listed among the 100 biggest defense companies with $50 billion export capacities for its 2053 global vision. Listing Turkey's vision for the next 30 years, "Our goal is to be 100 percent domestic and national, with an independent and sustainable defense industry and a global power that invests for compatibility and qualified human resources," Demir said. - Carrying out important projects for air, sea and ground forces, the presidency is also preparing to initiate many projects in the year 2019. Covering many projects ranging from the commissioning of the fourth domestically produced warship, TCG Kınalıada corvette, for the naval forces, to the launching ceremony of the first submarine Piri Reis, which enables Turkey to gain new capabilities in the field. - In addition, the presidency will deliver the first logistics support vessel to naval forces, which will enable ships to be refueled on duty. - Planning to finish the stage of performance completion of the developed ATAK helicopter project, which was launched last year, the presidency will also deliver two S-400 long-range regional air and missile defense systems, along with the delivery of the first two Korkut air defense system to the armed forces. - Launching a multipurpose amphibious attack ship and Turkey's first nationally built aircraft carrier, TCG Anadolu, into the sea, the presidency is also planning this year to deliver this ship in the last quarter of 2020. The presidency also asserted that this ship will pave the way for Turkey to become a global power at sea, adding if Turkey had bought this ship from abroad, it would have paid twice the price and would be deprived of using 65-70 percent domestic products. - Along with signing a procurement contract for the Akıncı UAV project, the presidency announced that the first two F-35 aircraft will be reverted to the Malatya 7th Main Jet Base Command. Stating that the construction of the parts is continuing, the presidency declared that besides the U.S., northwestern Eskişehir province will be the only other place in Europe that is able to repair F-35 engines. The presidency added that the maintenance and repair of the aircraft of other partner countries will be carried out in Eskişehir. - The Remote-Controlled Weapon Platform (UKAP), Turkey's armed unmanned armed vehicle, will also be added to the country's inventory for the first time this year. In addition, the presidency will provide cybersecurity training to 1,000 students and 250 experts under the umbrella of the Defense Industry Academy and will also organize the Defense Industry Council for the first time.